What a fun weekend for the 24 in 48 Readathon! I ended up finishing five, almost six, books (two of which I had started previously) and had a great time doing it. I was a little more relaxed about it this time around, aiming for 20 hours of reading and ending up with 18.5 hours of reading. ...doing a trial run of this beer cheese pretzel ring for entertaining next weekend. 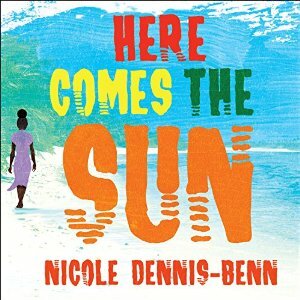 My audiobook was Here Comes the Sun by Nicole Dennis-Benn, narrated by Bahni Turpin, and it's really great!